X-O Manowar is simply unstoppable! Valiant Entertainment is proud to announce that X-O Manowar #2 has sold out at the distributor level and is heading back to press for the X-O Manowar #2 Second Printing Sketch Cover by rising star Arturo Lozzi! New York Times best-selling author Robert Venditti and Eisner-Award winning artist Cary Nord continue their jaw-dropping, critically acclaimed reinvention of Valiant's signature hero in this sold-out second chapter of X-O Manowar! Trapped aboard a mysterious extraterrestrial ship, Visigoth warrior Aric of Dacia must choose between liberation – or death! But when salvation lies in a sentient suit of armor, will Aric take a leap of faith for freedom? The epic origin of the year continues here as the Valiant Universe is forged anew! Join the breakout sensation of the summer on July 25th when the X-O Manowar #2 Second Printing Sketch Cover collides with comics shops everywhere. And the Summer of Valiant isn't over yet – be sure to reserve your copies of Bloodshot #1 and Harbinger #2, in stores on July 11th, and Archer & Armstrong #1, in stores on August 8th, with your local retailer today! 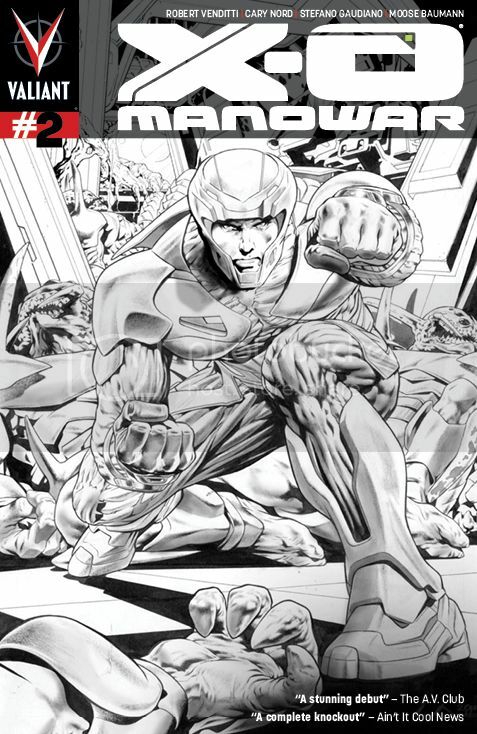 X-O MANOWAR #2 SECOND PRINTING SKETCH COVER – ON SALE JULY 25th! X-O MANOWAR #1 THIRD PRINTING SKETCH COVER – ON SALE JULY 18th! X-O MANOWAR #3 – ON SALE JULY 18th!